This Roundup contains reviews of Beulah’s June 2010 releases – please watch out for my article on their older issues, which I am working on at the moment: expect it soon. You may also wish to refer to my recent article on Gimell downloads of the Tallis Scholars - here. rec. live, 8-13 January 2009, Sala Santa Cecilia, Auditorium Parco della Musica, Rome. DDD. I have made this Recording of the Month with reservations, one of which concerns the very wide dynamic range of the recording (see below). Another relates to my continuing love of earlier versions, especially the EMI Giulini which I extolled in my October, 2009, Roundup. Finally, Passionato’s pricing policy makes the download actually more expensive than the physical CDs, since they are offered at mid price. Passionato should seriously consider making permanent the reduction to £11.99 for this set, which was on offer when I downloaded it. Amazon.co.uk have this recording for £11.99, complete with digital booklet, albeit at the lower 256kbps bit-rate. There is one important point which Michael Cookson makes, which I must emphasise - the opening is so quiet that I thought at first that the download of the first track had failed to materialise. In anything other than the most ideal conditions - MC mentions listening in the car - the first two minutes of music are lost. Otherwise the 320k mp3 sound reproduces very well. rec. Chapel of Harcourt Hill Campus, Oxford Brookes University, 4– 6 September 2009. DDD. Texts and translations available as pdf document. 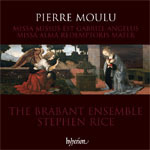 Hyperion and the Brabant Ensemble again put us in their debt, this time with the music of Moulu, a composer who was not known to me even as a name before hearing this recording. This new CD deserves to have the widest possible circulation in all formats. Two small grumbles – I have queried before the practice of performing the work on which the Mass is based – in this case Josquin’s Missus est Gabriel – after, rather than before the Mass itself. Surely, too, the translation of Crescat celebris Du Fay cadentia in Mater floreat as ‘May Du Fay’s famous fall grow’ is doubly misleading. Cadentia does mean ‘fall’ and there is a pun on that and crescat (may it grow or rise up), but it also means a musical cadence, and that is surely the primary meaning. Also, celebris is genitive, agreeing with (indeclinable) Du Fay – it’s the composer Guillaume Du Fay who is famous, not his fall/cadence. (I’m informed that Hyperion, having employed a copyright translation, were not at liberty to alter it.) Otherwise, as always, it is very useful to have the translation available at the click of a mouse when playing the music in Squeezebox. rec. Watford Colosseum, 1 March, 2010. DDD. By the time that this Roundup appears, my fuller review of this download may well have appeared among the main CD reviews. Overall this new recording impressed me. I shall want to return to it for the sake of the music – less immediately appealing than, say, Gordon Jacob’s Trombone Concerto, but ultimately more satisfying, I think. I hope that it bucks the trend of concertos for brass instruments to be less than popular. 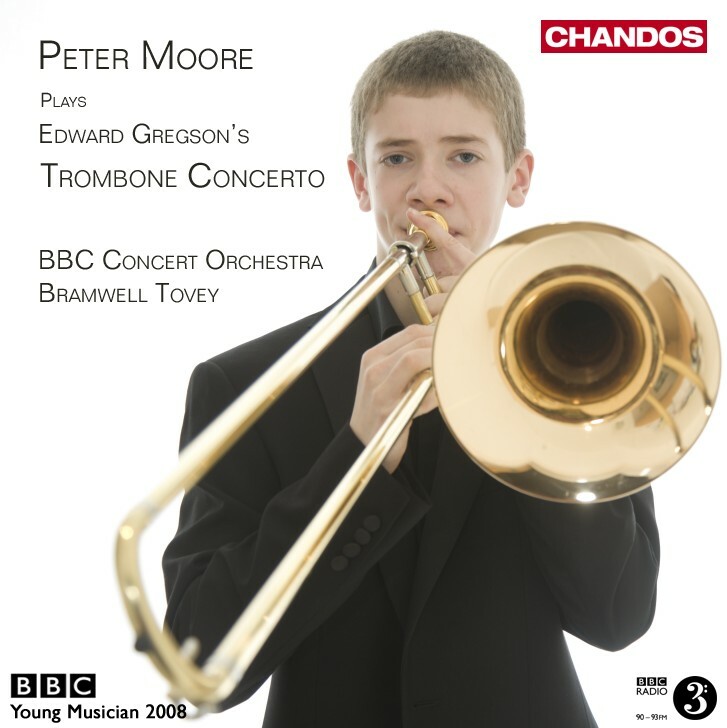 I happily yield to the composer’s own high assessment of Peter Moore, winner of the 2008 BBC Young Musician competition, as soloist, and the accompaniment and recording are all I could wish them to be. Even if you intend to buy the CD when it appears, I don’t think you will regret spending a couple of pounds on the download now. If Chandos would include some notes, my satisfaction would be complete. These sometimes appear a week or so after the download appears, so keep looking – but they still had not materialised three weeks later. rec. Westminster Cathedral, London, 22-24 June, 1988. DDD. Texts and translations available as pdf document. Hyperion place the lovers of renaissance polyphony doubly in their debt with the Moulu recording and the self-recommending reissue of this Palestrina CD of two Ascension-tide Masses. The Sixteen/Harry Christophers – rec. 1992. DDD. 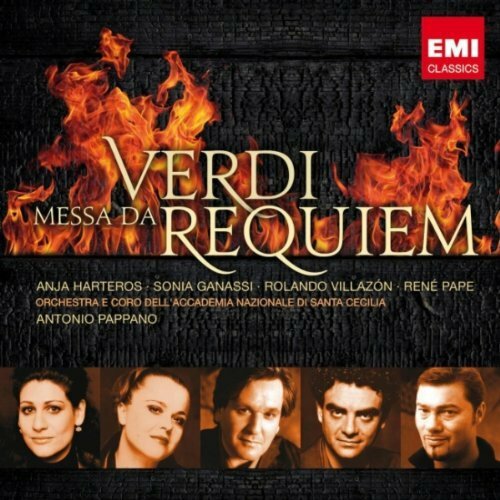 CORO COR16053 [69:37] - from theclassicalshop (mp3 and lossless). Booklet with texts available from Naxos Music Library here. 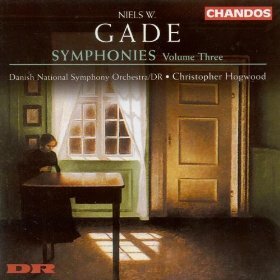 The mp3 version of this recording was Chandos’s free download with theclassicalshop.net’s newsletter in May 2010, a valuable bonus for subscribers to this free service which is well worth signing up to. 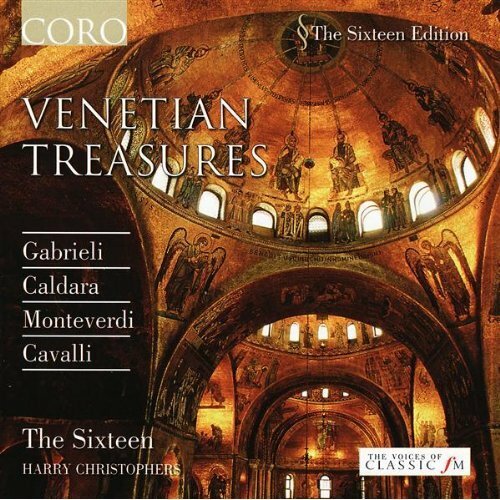 Performances and recording of this excellent overview of Venetian music from the early 16th century to the late 17th are all that we expect from this source, even in mp3 format. Subscribers to the Naxos Music Library may listen to it there and also obtain the booklet. Best of all, this recording does not duplicate any of my recommendations from the Gimell catalogue here. Nigel North (lute) – rec? DDD. 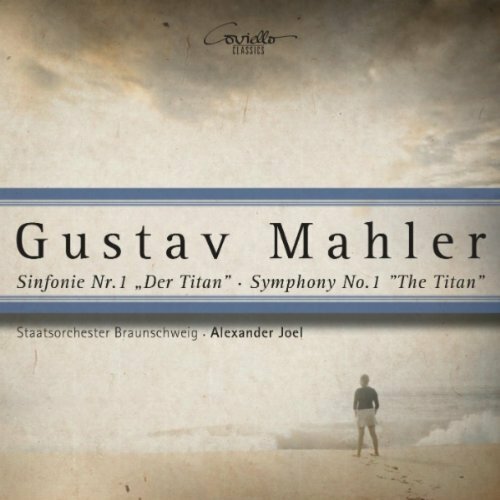 NAXOS 572178 [60:11] – download only from classicsonline (mp3) or streamed from Naxos Music Library here. 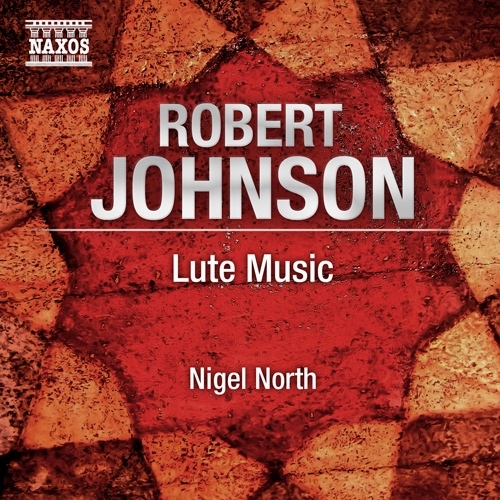 Naxos already have one CD of the lute music of Robert Johnson (Christopher Wilson and Shirley Rumsey, 8.550776). Now, after a gap of some seven years, they add a second volume, this time with Nigel North, who has recorded Dowland’s complete lute music; the new recording is available only as a download at present. Johnson’s music may not be quite as accomplished or as well known as Dowland’s, but it is well worth hearing, and there can be no better advocate than Nigel North, whose Dowland has won many plaudits, my own small contribution among them. Please refer to the review of the complete 4-CD set, 8.504016, here, with links to the reviews of individual volumes. North’s playing is every bit as fine here as on those Dowland recordings, though I was surprised to hear a degree of extraneous finger noise, which I don’t recall from the earlier programmes. As it happens, I have another recording of Johnson’s music in my in-tray at the moment, containing several of his lute songs, coupled with those of some of his younger contemporaries and culminating with Purcell (With endless teares, Johannette Zomer and Fred Jacobs, Channel Classics hybrid SACD CCSSA26609). On first hearing, that would make an excellent follow-up to the present download. The SACD track of the Channel Classics disc is superb, but the Naxos, though only available as a 320 kbps mp3 download, is not far behind. 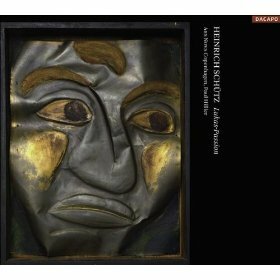 Mark Sealey has reviewed this recording in some detail – here – so I shall not try to repeat what he has already written, except to stress his point that Schütz’s passions are altogether much sparser than the familiar Bach works and far less colourful than we normally expect from Schütz himself. The performance and recording are excellent but there are no notes with the download and no text, though Luther’s translation of Luke is readily available, including online, as, of course, are English versions old and new. Alfredo Campoli/Edward Gritton – rec. 1947. Mono. ADD. This is one for fans of Campoli rather than baroque specialists, who nowadays have many more and more historically aware recordings of Corelli and other exponents of the persistent theme known as La Folia or Les Folies d’Espagne to choose from. Specialists will prefer Elizabeth Wallfisch with Richard Boothby and Robert Woolley in the original sonata, Op.5/12 on Hyperion Helios CDH55240 (budget price CD and mp3/lossless download, with other Corelli sonatas – see review) or with different partners in the complete Op.5 on Hyperion 2-for-1 Dyad (CDD22047) or the recording of Op.5/7-12 by François Fernandez and Glen Wilson on Naxos 8.557799 which I reviewed some time ago. Nevertheless, Campoli is always worth hearing, and the Beulah recording is more than tolerable. London Philharmonic Orchestra/Antal Dorati – rec.1939. Mono. ADD. Ten pieces by Boccherini, arranged for a ballet by Jean Françaix in or before 1933 and performed by the Ballet Russe de Monte-Carlo under the direction of Dorati, who recorded the music in 1939. I’m normally a great fan of this kind of pastiche, but I must admit to being underwhelmed by the present concoction, though it’s all well played and the transfer is very good for its age. The 1998 Pearl CD including the same performance seems to have disappeared from the catalogue. I was about to write that there was no current version of this music until I discovered that there is a Hyperion recording, coupled with other works by Françaix (CDA67323 – see review). Philharmonia Orchestra/Carlo Maria Giulini – rec. 1959 stereo DDD. I didn’t know that Giulini had recorded Haydn – not a composer with whom I associate him, nor would we necessarily associate Haydn with Boccherini as a bedfellow today - though I see that the coupling was well received at the time of its issue. Both performances still sound stylish and the recordings are no hindrance to enjoyment. The Boccherini costs a mere £0.50, the Haydn £1.50. Try an extract on YouTube here. Haydn symphonies on record were something of a rarity in 1935, so that the Gramophone reviewer felt it necessary to explain patiently: “This is one of the works that Haydn composed for his London concerts. It is known as London Symphony No. 5 [sic], and was written in 1791, for the first visit.” Today’s listeners are much more likely to know what comprises the two sets of 'London’ symphonies and there is a wide range of choice of performances, but then it was the only version available. The small scale of the performance was noted with approval and it still sounds quite stylish. The longer movements are abridged to fit on four 78 rpm sides. Harty from 1935 is no match for Giulini in 1959 in terms of recorded sound – even at the time, the sound was judged to be clear but not exciting. It now sounds rather sub-fusc but tolerable, and the transfer is virtually free of surface noise, except in the run-out groove at the end. (Why was that retained?) In 1935, the asking price of 5 shillings was regarded as a ‘boon’: so is its availability now for £1. Even today, Haydn’s operas are not exactly well known, so this orchestral suite from Il mondo della luna still makes interesting listening. The performance is stylish – a little deliberate in places – and the recording tolerable, with hardly any surface noise. Well worth £1 of anyone’s hard-earned money. A typo on the downloadable cover, which identifies Charles Brill as Chrales Brill is a reassuring sign that I’m not the only two-finger typist who reverses letters. I was even more gratified to see my review of the Beulah CDs of Anthony Collins’ Sibelius attributed to ‘Brain’ Wilson on the website. Alfred Cortot, Jacques Thibaud and Pablo Casals – rec.1927. Mono. ADD. This is as classic a recording as you are likely to find – if memory serves correctly, it once featured in the History of Music series of recordings: it certainly deserves to have done so. Even today there is very little about the performance that could be criticised and the recording holds up extremely well for its date: some 78s from 20 years later wouldn’t pass muster to the same extent, and there is almost no surface noise. For an equally classic modern performance of the ‘Gypsy’ and three of its companions, go to the Florestan Trio on Hyperion CDA67719 (CD or mp3 or lossless download here). Like all the Beulah Extra downloads, this is available only as a 320kbps AAC file, with no CD equivalent. The performance still holds up well – light and appealing – and the recording was good enough not to interfere with my enjoyment, with very little surface noise. All in all, this is well worth the asking price of £1.50. London Philharmonic Overture/Basil Cameron – rec. 1946. Mono. ADD. Hérold’s music is not so much in vogue these days: even the confection which John Lanchbery arranged for the ballet La fille mal gardée is not as popular as it once was. This recording of the overture to Zampa reminds us of the attractions of his music, in a stylish performance, and the transfer of the recording is perfectly acceptable. 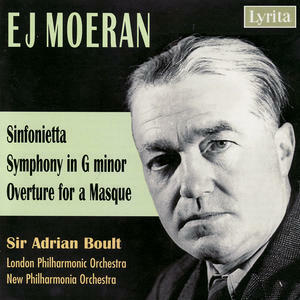 Beulah have an alternative performance of this overture on CD (1PD4 – ‘78 Classics’, performed by the Bournemouth and Berlin Philharmonic Orchestra under Isidore Godfrey and Hans Pfitzner). 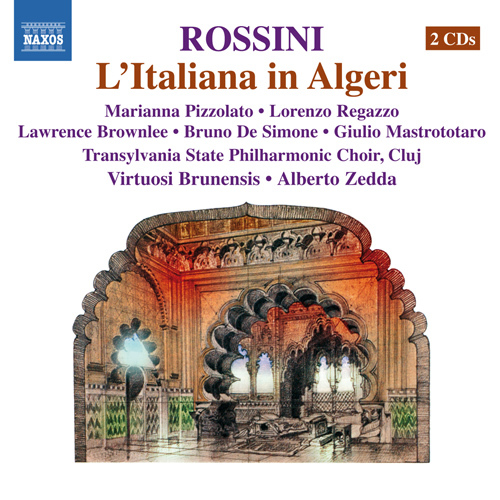 Lorenzo Regazzo (bass) - Mustafà; Ruth Gonzalez (soprano) - Elivira; Elsa Giannoulidou (mezzo) - Zulma; Giulio Mastrototaro (bass) - Haly; Lawrence Brownlee (tenor) - Lindoro; Marianna Pizzolato (alto) - Isabella; Bruno De Simone (bass) - Taddeo; Transylvania State Philharmonic Choir, Cluj; Virtuosi Brunensis/Alberto Zedda – rec. live, July 2008. DDD. The Italian libretto may be accessed at www.naxos.com/libretti/660284.htm or from the Naxos Music Library here. This new recording competes in the same budget-price range as the recent Sony reissue, which received a lukewarm welcome from Robert J Farr here. 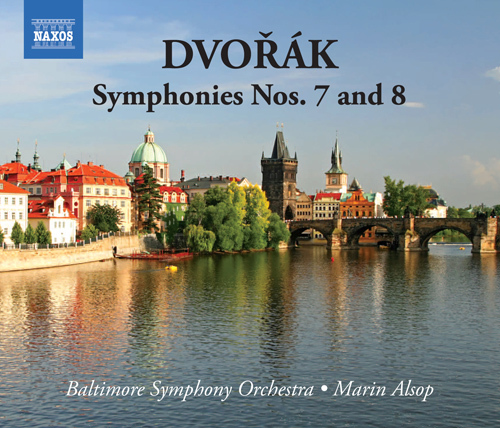 Like the Naxos version of Il Turco in Italia – see review – beginners could do much worse than start with this live version. If you had paid £10 to hear this production, you would hardly have thought yourself short-changed, but for a little more (£12.99) passionato have a safer recommendation in the form of the 1987 Claudio Abbado recording with Agnes Baltsa, Frank Lopardo and Ruggiero Raimondi (427 3312 here). Passionato also have the older (1963) Berganza/Coreno/Panerai/Varviso (475 8275 here, no longer available on CD in the UK) for the same price. This is the most recent of Colin Davis’s three recordings of Harold in Italy, a live recording made in the Barbican concert hall. In some respects I still prefer the first version, with Yehudi Menuhin, still available at budget price on Classics for Pleasure 5218462, a recording which doesn’t take quite so long to get off the ground, but I am swimming against the critical tide, which inclines to the LSO Live version. It’s not that I dislike the new recording, merely that I prefer the older version, which can be downloaded from amazon.co.uk for £4.99. If you want to go back further, to the classic William Primrose/Philharmonia/Thomas Beecham recording, this comes for the price of four tracks, potentially less than £1, in less than ideal sound from eMusic. The LSO Live download from passionato in 320kbps sound costs £5.99, the same as buying the CD direct from the LSO shop; the iTunes equivalent, in 256kbps sound, is uncompetitive at £7.99. I have just been listening intensively to three versions of Götterdämmerung: the new live Hallé performance directed by Mark Elder (5 CDs, CDHLD7525 or one mp3 CD, CDHLM7530) and the now classic Solti and Karajan accounts. As a result, I have now changed my opinion that Rheingold and Siegfried represent for me the high points of the cycle, by comparison with which parts of Götterdämmerung fail to live up. I just had not been listening attentively enough. 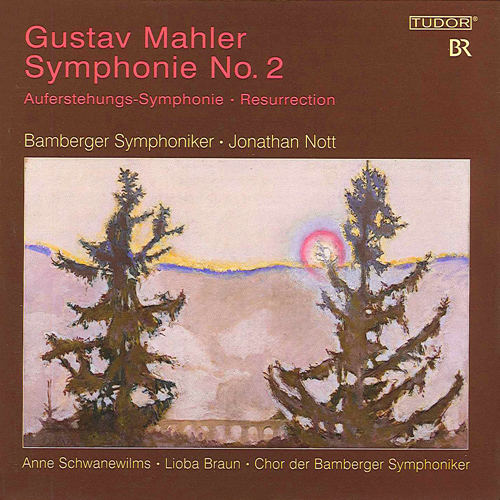 I ended that review with an intention to return to Die Walküre, to see if similarly intensive listening could convince me that Acts 1 and 2 were on a par with Act 3 – a discrepancy which probably arises from my having first heard the Todesverkündigung and Act 3 in isolation many years ago, in Solti’s first shot at part of the Ring, with Kirsten Flagstad. 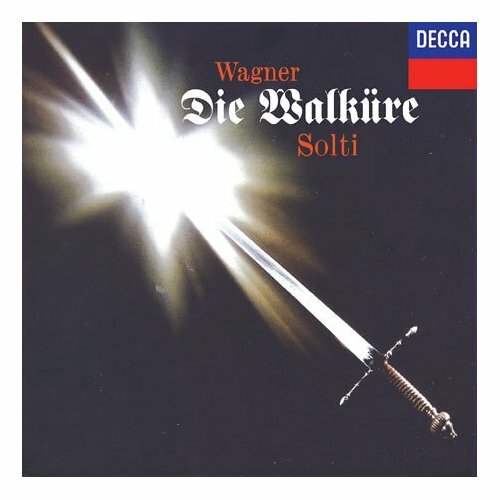 I have not yet had time to complete that intensive exercise with Die Walküre, but I have to say that the Solti and Böhm recordings have already gone some way to convincing me. 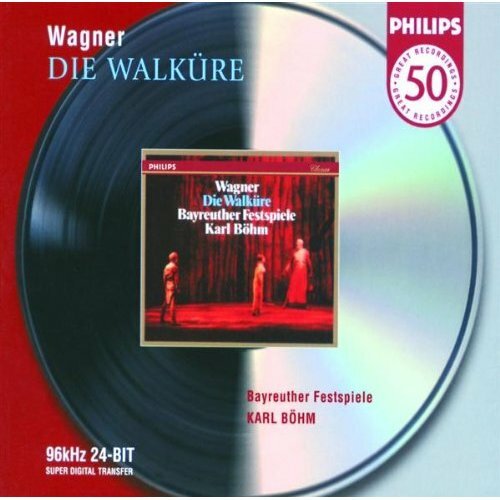 Previously my only recordings of Walküre had been the classic Flagstad Act 3 (now coupled with Act 1 under Knappertsbusch, Australian Eloquence 480 1892, 2 CDs at super-budget price from Buywell) and a recording made by Leinsdorf with Nilsson, London and Vickers, originally issued on RCA but now on Decca and recently reissued again at budget price (470 4432, typically less than £20). All four versions have their advantages and disadvantages. It would be nice to combine the generally vigorous pace of Böhm and Leinsdorf (who fits the opera onto 3 CDs) with the quality of recording which Decca achieved for the complete Solti. Flagstad was past her best when she made the Eloquence recording, but she still sounds magnificent and that remains the Act 3 which I play the most. Nilsson is superb in all three versions on which she features – perhaps at her best for Böhm, but that version is vitiated slightly for me by Rysanek’s less than ideal Sieglinde. King and Nilsson are common to both the Solti and Böhm versions and both more than make up for any shortcomings there. The Böhm was issued separately on the Philips 50 series as the pick of his complete Bayreuth Ring, recorded live in 1966 and 1967. It seems to be no longer generally available on CD, though some dealers still have it for around £34; the download, in good mp3 sound, is the least expensive way to obtain it. Passionato also have the complete Böhm Ring (446 0572 here for an economical £40.99). If anything, it’s the Böhm that has most convinced me of the value of Act 1 and the importance of Act 2. I’m confident that when I’ve completed an intensive rehearing of the Leinsdorf and the Flagstad/Solti, together with the Böhm and the complete Solti Walküre, I shall not think of any parts of this opera as inferior to the rest of the cycle. Now I have to convince myself about Lohengrin. Passionato also have the Leinsdorf recording here, though, in this case, the download will save little or nothing by comparison with the 3-CD set. Though I had heard other works by Gade, I had not come across Ossian until I discovered a Beulah Extra download of a recording by John Frandsen, with an earlier version of the Danish National SO, dating from 1958. Beulah have done their best to present that recording, originally issued on a Philips 10” LP, coupled with Hartmann’s Håkon Jarl Overture, also available from Beulah Extra – find them both on 1BX44 and 2BX44 here – but, inevitably, the more recent 20-bit DDD Chandos recording sounds much better. TH in The Gramophone for February 1949 thought Chorale No.1 an exceedingly dull piece, a view in which he was confirmed by what he thought a dull performance. Admittedly, there are more inspired works in the organ repertoire – the Chorales are meditative rather than exciting – but I, for one, am happy to hear one great composer playing the music of another. The recording is astonishingly good for its age, with just an occasional hint of surface noise. Budapest String Quartet with Alfred Hobday (viola) – rec.1936. Mono. ADD. Brahms’ first String Quintet adds a viola to the string quartet line-up. Though it’s a beautiful work, it’s less often played today than the second, but there is a fine modern recording of the two works together by the Raphael Ensemble on Hyperion CDA66804 here, Archive Service or download (mp3 or lossless) for £6.99. The Budapest Quartet version is a classic which deserved to be restored and the 1936 recording, though obviously muddy by comparison with the very bright Hyperion sound, is more than serviceable, with just a trace of surface crackle in places. Staatsorchester Braunschweig/Alexander Joel rec. April, 2008. DDD. 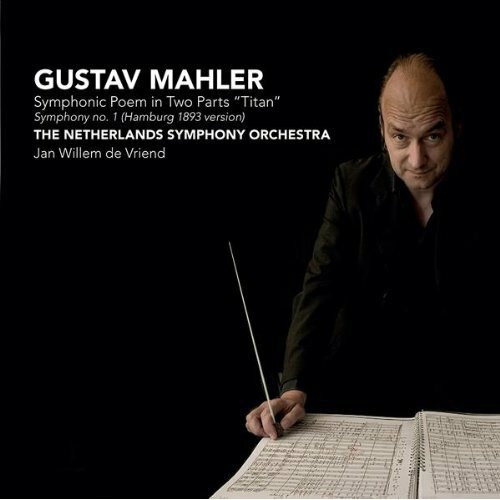 Both these new recordings restore ‘Blumine’, the original second movement of the symphony before Mahler discarded it. Both make a good case for it, with the movement integrated in its proper place on the Challenge Classics version, and both are well recorded. Neither version, however, is likely to shake my allegiance to Kubelík in the revised version (DG Originals 449 7352). Challenge Classics: On emusic two of the tracks are at 320kbps, the others at 224k and 225k. On classicsonline all tracks are at the maximum 320k. Coviello: The passionato track labelling is rather confusing, with tracks 1 and 5 both labelled ‘Blumine (discarded)’. In fact, the Blumine movement is track 1 only: the logical place to put it, of course, would have been track 2, since it originally formed the second movement. 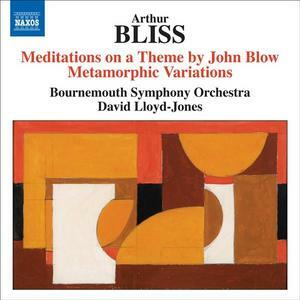 Christina Pier; Matthew Brook; Andrew Staples; Bach Choir; Bournemouth Symphony Orchestra/David Hill – rec. September, 2009. DDD. John Westbrook (narrator)1; King’s College Choir, Cambridge2; Cecil Aronowitz (viola)4; Jacques Orchestra3,4; London Symphony Orchestra5/Sir David Willcocks – rec.1968. ADD. These are two fine recordings of Sancta Civitas. The choice is between the new digital recording in good mp3 sound from classicsonline, with its more conventional coupling of Dona Nobis Pacem, and the re-mastered 1968 analogue version from EMI, still sounding well, especially in lossless form, and coupled with the beautiful but neglected Oxford Elegy. If you already have a good recording of Dona Nobis Pacem, such as Bryden Thomson’s excellent version on Chandos (CHAN8590, with Five Mystical Songs, on CD, mp3 or lossless download from theclassicalshop: see review in March 2010 Roundup), I urge you to go for the EMI – deleted on CD but still available as a download. The Oxford Elegy, based on Matthew Arnold’s Scholar Gipsy and Thyrsis, a work as beautiful and powerful in its own way as Sancta Civitas, receives a fine performance from the Cambridge forces. John Westbrook’s delivery of the words is just right – passionate where passion is called for, but never hammy. My only reservation is that at £7.99 (mp3) or £9.99 (flac), the download is more expensive than the CD when it was last available. 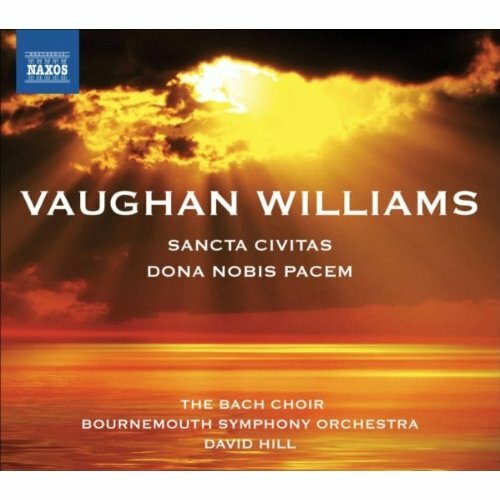 If, for any reason, the new Naxos doesn’t appeal and you don’t want the Elegy, snap up the Hickox version of Dona nobis and Sancta civitas on EMI British Composers 7547882 before that disappears, too. There is an alternative version of the Oxford Elegy on Nimbus NI5166, also available from classicsonline, this time from an Oxford source, directed by Stephen Darlington. Subscribers can try the Nimbus here and the new Naxos here from Naxos Music Library – the Naxos booklet is available from this source; it also comes with the classicsonline download. No doubt the Naxos will also appear in lossless sound from passionato in due course but at present booklets are not available from that source. 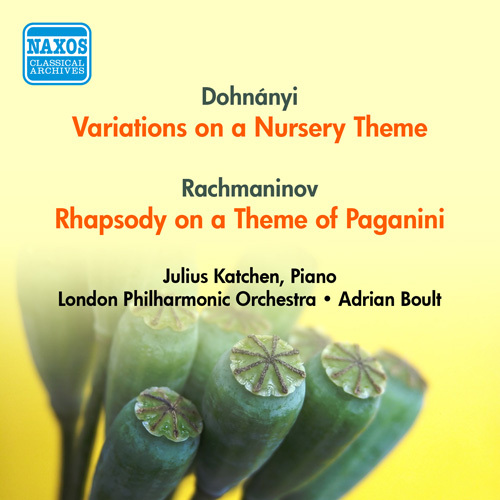 -	Please see also review of the Naxos recording by John Quinn (Bargain of the Month). BEULAH 1PD82 [77:18] - from iTunes (mp3) via the Beulah webpage. The Holst items are also available from Beulah Extra here. This, like the Collins Sibelius which I reviewed last month, came to me on CD, as I don’t have press access to iTunes. These recordings are just as much classics as the Sibelius: not only are the performances every bit as good as any versions I’ve ever heard of this repertoire, they also still sound well, especially Hammersmith and the Jacob and Walton pieces, which are in stereo. There is an equally distinguished rival version of most of this repertoire in the form of an ASV recording now on the budget Resonance label (CDRSN3006, London Wind Orchestra/Dennis Wick, around £5 in the UK). Why not buy both? -	See also review by MWI Classical Editor Rob Barnett. rec. October and November, 2008, and February, 2009. DDD. The Nursery Variations is not an easy work to bring off. Pianist and conductor together have to get just right the balance between the maestoso opening, with all its pomp and ceremony, and the nursery song when it appears. (It’s Twinkle, twinkle, little star, of course for Anglophone listeners, Ah vous-dirai-je, maman for others.) For those of us with long memories, Julius Katchen and Sir Adrian Boult achieved that balance on a 1954 recording which is now available from classicsonline for £1.99 (9.80648 here, though not in the US and several other counties). Of the modern versions which I have heard, Mark Anderson and Adam Fischer with the Hungarian State Orchestra come closest (Nimbus NI5349 – from classicsonline, but not everyone will want another version of Brahms’ First Piano Concerto, which is the coupling. Subscribers can try that recording from the Naxos Music Library here, but be prepared for the player partially to spoil your listening pleasure by introducing breaks between variations. UK subscribers can hear the Katchen/Boult on NML here without breaks – it’s presented on one long track and the recording is quite acceptable. 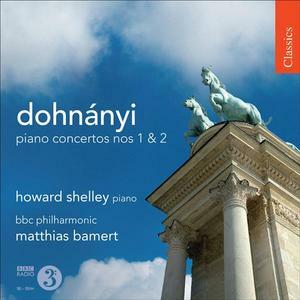 The all-Dohnanyi programmes on Naxos and Chandos are more logical, but, with two items overlapping, they are clearly complementary – attractive as are the Symphonic Minutes on Naxos and the extracts from Pierette on Chandos, the Variations and the Suite in f# provide the substance of both sandwiches. Keith Anderson, in his usual excellent notes in the Naxos booklet, likens the first appearance of the nursery tune to the famous tag of Horace – Parturient montes, nascetur ridiculus mus: the birth pangs of the mountains bring forth a silly little mouse. (Actually, surprisingly for someone with his academic background, Anderson quotes the first two words in reverse – from memory?) I’m not quite sure that Nebolsin and Falletta quite achieve that contrast as well as Katchen and Boult, though they come close. The opening is suitably portentous and the theme innocent-sounding enough, almost as if it were picked out by a beginner, but I missed that last touch of magic which the older recording achieves. It’s probably a subjective reaction, which others may not share: in fact, I was more attracted to the new performance with the second hearing. The Chandos probably remains a slightly more secure recommendation. Both come in good mp3 sound and the Chandos is additionally available as a lossless download. Subscribers can try them both in the Naxos Music Library. This 1950 mono version of la Boutique, one of the first ever LPs, has also appeared on Australian Eloquence coupled with the Pines and Fountains of Rome (480 0024), which John Sheppard aptly described as ‘an enjoyable and ... valuable recording’ – see review. The performance is, indeed, enjoyable and the playing of the LSO rather more secure than some of that provided by Ansermet’s own Orchestre de la Suisse Romande elsewhere. The recording, re-mastered from the original tapes, has worn quite well and the download is well worth the asking price of £2. If you want the other two items, however, the Eloquence CD can be ordered from Buywell for £5.14. This version of Boutique has also been issued on Somm (SOMMCD027). Decca later remade la Boutique with Solti – a rather more high-powered version in an early stereo recording which must surely reappear some time. Budapest Festival Orchestra/Iván Fischer – rec. Budapest, 1996/97. DDD. Though still listed in the Decca international catalogue, these recordings seem to be no longer available on CD in the UK, either as a set or individually, ironically at the very time when many music lovers will be looking for Fischer’s recording of the Concerto for Orchestra particularly, since it has recently, justifiably, featured in two recent issues of Gramophone as the top recommendation. Those wishing to obtain the Concerto for Orchestra separately for £5.89 will not be disappointed, but the whole 3-CD set contains such fine performances, available at the reasonable price of £17.99, in good 320k mp3 sound, that you should really go for the whole works. If you feel that the 3-CD set is too much to take in at one go, passionato also offer the 2-CD Double Decca set of Solti’s Chicago performances for £12.99, also very well worth considering, though not much of a saving, if any, on the parent CDs. Amazon also have the Reiner recording of the Concerto for Orchestra on RCA, coupled with the Music for Strings Percussion and Celesta and Hungarian Sketches – puzzlingly this is offered in two guises for £7.49 and £7.99 respectively, which is not much of a bargain when dealers offer it on hybrid SACD for very little more at around £8.25 (see review by Colin Clarke). rec. City Halls, Candleriggs, Glasgow, 15-16 November 2008. DDD. Very good performances of two undervalued Stravinsky works – Baiser de la Fée, in particular, ought to be much better known. This performance is fully the equal of the Reiner/RCA from which I first got to know the music and sounds much better than that did on LP. Scènes de Ballet may have less going for it, but it’s still well worth having. My only grumble concerns the short playing time, which is taken into account in setting the download price at just £6.99 in either format. Classicsonline and passionato have the Robert Craft recording of Le Baiser de la Fée (Naxos 8.557503 – review here, here and here) and theclassicalshop offer Neeme Järvi on one or two CDs (CHAN8360 or, better value at 2-for1, CHAN241-8M). rec. BBC Maida Vale, London, 20-22 November 2009. DDD. rec. All Hallows, Gospel Oak, London, February 1996. DDD. Hearing a soprano in Dies natalis and Les Illuminations takes quite a lot of getting used to, since both of these are so familiar in their tenor garb, but these performances make the effort very well worthwhile. The less familiar Chansons and the Delius bonne bouche round off a very worthwhile programme and the lossless download does full justice to the recording. Something of a surprise here: not having heard Dies Natalis sung by a soprano before, I fully expected to emerge with a clear preference for the Hyperion recording. 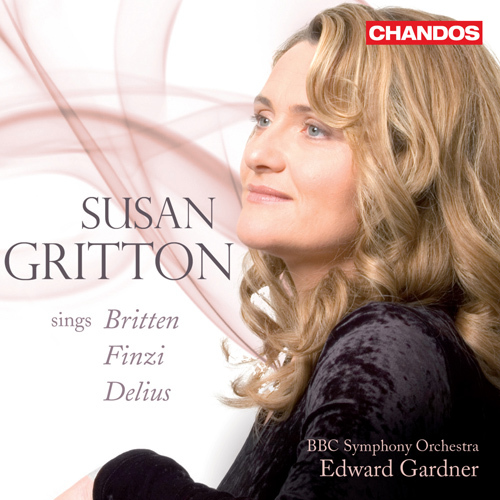 In the event, I thought John Mark Ainsley’s singing just a trifle colourless by comparison with other recordings of this wonderful work – and by comparison with Susan Gritton’s new version. For the Immortality Ode, go for the Lyrita version with Ian Partridge and Vernon Handley, coupled with Hadley’s The Trees So High (SRCD.238 – see reviews here, here and here). Download from emusic here. I’m taking a second bite at this cherry, the third in Naxos’s series of Shostakovich symphonies with Petrenko at the helm. Last month I was able to hear it only from the Naxos Music Library and was put off from a proper appreciation by the short gaps which the NML Music Player introduces between movements where the music should be continuous. As is often the case with second hearings, the reservations which I expressed then have very largely disappeared, mostly thanks to my being able to hear it without gaps. Residual doubts have more to do with the music than the performance. The Eighth Symphony is a difficult work to bring off: Stalin was looking for a celebration of ‘his’ victory comparable in power with the Seventh, the ‘Leningrad’ Symphony, but he got something very different and it soon found its way onto a list of proscribed works. As Richard Whitehouse points out in his excellent notes, Shostakovich himself had periodic doubts about it. As for alternative versions: in my review of his complete box set of the symphonies (Decca 475 8748, or download from passionato) I felt that Ashkenazy was trying a little too hard to bring out the subversive nature of the music which Shostakovich supposedly claimed for it. I still think there is a place for Haitink’s interpretation (425 0712 – the budget Eloquence reissue seems to have been deleted, except as a download from passionato) and Barshai on Regis offers a notable bargain, though not as a download. rec. Württembergische Philharmonie Reutlingen, Germany, 31 March-4 April 2006. DDD. -	see review by Brian Burtt. The Sinfonia and the Bandoneón Concerto are larger-scale works than we are used to from Piazzolla and the other two works have also been arranged for forces larger than usual. Despite all the qualities which Brian Burtt rightly points to in this recording – it’s well worth having for the Concerto alone – I felt a little uneasy to hear the familiar Cuatros Estaciones in such a grand arrangement. 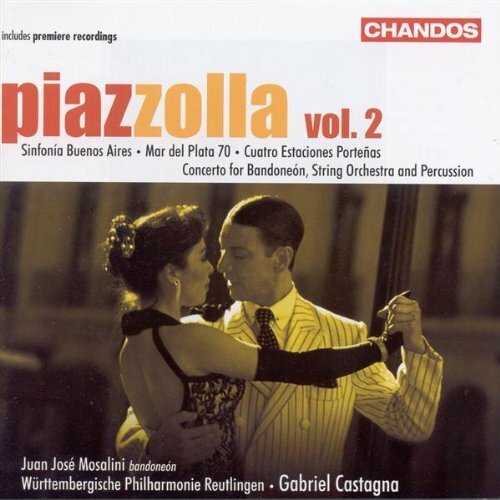 Quite fortuitously, I had just received another recording of the Cuatro Estaciones and other works by Piazzolla, performed in 1993 by members of the Orquestra de Camera de Blumenau under the direction of Cláudio Ribeiro, whom I encountered accidentally via email when I thought I was replying to a query which had been forwarded to me by another conductor of the same name. The arrangement on that recording, for Piano, Violin, Viola and Cello, by José Bragato, can claim authenticity, since Bragato was a close friend of the composer and had a hand in commissioning the work. Though Maestro Ribeiro and most of the performers are Brazilian, the Uruguayan pianist Carlos Garofali performs in two other works, Lo que vendrá and Buenos Ayres hora cero and another Uruguayan, Carlos Magallanes, plays the bandoneón in the latter piece, so the recording has a broad Latin American imprimatur. Though USA Discos don’t seem to have a UK distributor, this is, after all, MusicWeb International and you may find that there is one in your country; alternatively, contact them directly: www.usadiscos.com.br. The webpage is in Portuguese; contact the Ribeiro webpage if you get stuck. 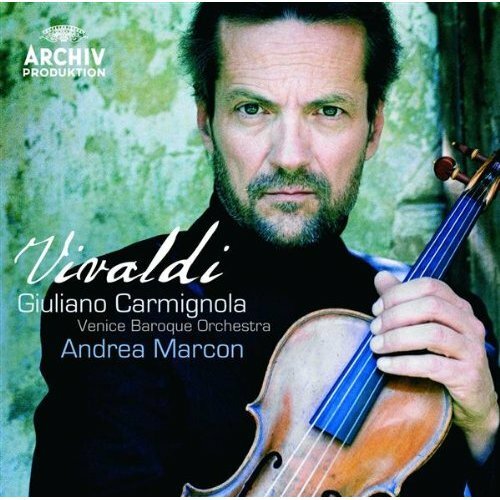 -	See review by Michael Cookson: “Vivaldi lovers will not want to be without this beautifully performed and recorded release.” The mp3 transfer is good. -	see review by John-Pierre Joyce: “for sheer vocal beauty, there is very little to fault”. 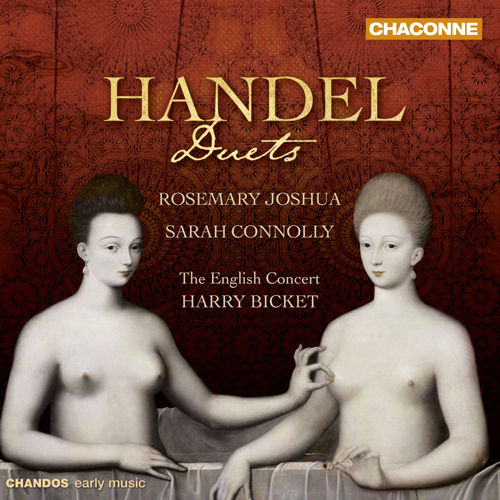 A most enjoyable addition to the Handel recitals which I recommended in my November 2009 and December 2009 Download Roundups. The quality of the lossless download is excellent. -	see review by Tony Haywood. Be aware that the claim on the passionato webpage that this is a ‘full’ recording is misleading, as TH’s review makes clear, which means that the highlights disc is better value and may, in any case, be enough for many people. The mp3 transfer is good. If you are looking for a historic account of just the Swan Lake Suite, Beulah Extra offer for £1 the Philharmonia Orchestra with Herbert von Karajan, a 1959 recording, in good mp3 sound (1BX18, here). rec. 14-15 March 2008, Joseph-Keilberth-Saal, Konzerthalle Bamberg, Germany. DDD. German texts and English translations included in booklet at Naxos Music Library and with purchase from classicsonline. 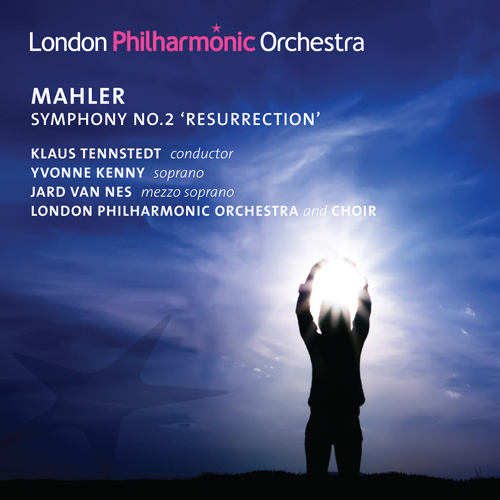 Two Recordings of the Month of Mahler’s Resurrection Symphony in quick succession augur well for the centenary year(s). So far I have been able to hear only the very broad-tempo opening movement of the Tennstedt from the Naxos Music Library here, but what I have heard of both versions makes them strong contenders to rival Klemperer as my top recommendation – still just about the fastest on record, despite his reputation for slow tempi, beating Tennstedt by around ten minutes. On emusic, three tracks of the Tudor recording are at 320kbps, the others at 224 and 207. If you must have all five movements at 320k, you will need to pay rather more for the version from classicsonline. Klemperer’s 1962 version is available in three formats from passionato: the least expensive is the Studio edition (2668352, £5.99 for mp3 or £7.99 for lossless). 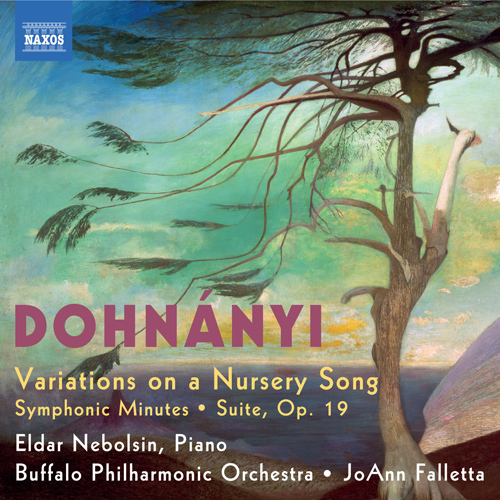 -	see review by MWI Classical Editor Rob Barnett. The Concertos remain available separately, with different couplings, at full price. The new coupling brings these performances into direct competition with Hyperion CDA66684 – see review. The Chandos mp3 at £4.99 is less expensive than the Hyperion at £7.99 but the two downloads sell for the same price of £7.99 in lossless sound. rec. Bergen and Stockholm, July-August, 2008. DDD. 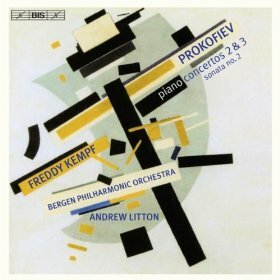 -	see review by Dominy Clements: “This is a recording and set of performances about which making a big fuss would seem entirely appropriate.” Exactly – the best recording of Prokofiev Piano Concertos since Richter (No.5, DG) and Argerich (1 and 3, EMI; No.3, DG). -	see review by John France: “I thoroughly enjoyed listening to this CD. The quality of the sound is superb; the enthusiasm of the orchestra and conductor is palpable. The learned essay by Giles Easterbrook is excellent and gives a detailed analysis of each piece ... the present recording is everything a good performance ought to be – demanding, searching and ultimately moving.” I need only add that the download does the recording justice and that the booklet to which JF refers comes as part of the deal from classicsonline. -	see reviews by Jonathan Woolf - here - and MWI Classical Editor Rob Barnett (Recording of the Month) - here. The mp3 transfer is good. -	See reviews by Rob Barnett here and Dr Geoff Ogram here. The mp3 download sound does justice to the performances. -	See review by Dominy Clements. I should add for the benefit of fellow stick-in-the-muds that I found this a tougher proposition to come to terms with than the Adès Violin Concerto. 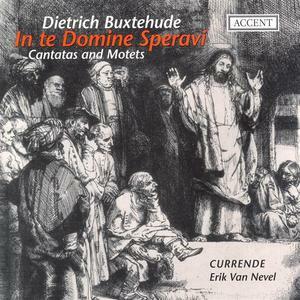 A good introduction to Buxtehude’s vocal music, well recorded. Some of the works are very short – the title piece lasts little more than two minutes – but there are several more substantial works, including Herzlich Lieb hab’ich dich, O Herr at 21 minutes, words also set by Bach in two cantatas and the St John Passion. There are no texts with the download, but several of these are readily available online, often with translation, including Herzlich Lieb here. At first hearing, this presents a strong challenge to existing recommendations. Just don’t overlook Kubelík on DG in various permutations from passionato: Symphonies 8 and 9 (447 4122 here), 7 and 9 (466 994 2 here) and the complete box set (463 1582 here). Seven Preludes from Op.34 (1933) - transcribed by Vadim Borisovsky; Nos.10, 14, 15, 16, 17, 18, 24 [10:26]; Viola Sonata Op.147 (1975) [31:36] Robin Ireland (viola); Tim Horton (piano) rec. July 2009 at Potton Hall, Suffolk NIMBUS NI 6117 [65:30] - from MusicWeb (lossless) £8 payable in Dollars equivalent using PayPal. Cover and booklet notes available as a pdf file. - See review by Jonathan Woolf here. This download represents the first fruits of collaboration between MWI and High definition Tape Transfers, initially of Nimbus recordings with, it is hoped, other labels soon. 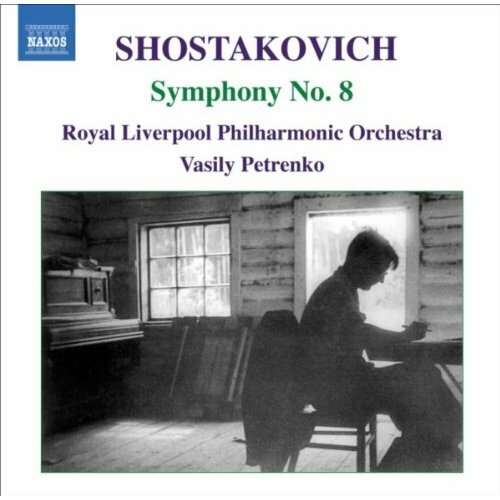 The repertoire may not be the most exciting - I thought the excerpts from Romeo and Juliet inevitably rather pale when one recalls the orchestral original - but the Shostakovich items, especially the Viola Sonata, are well worth having in such dedicated performances. There are, in fact, few rivals available as downloads - Nobuko Imai and Roland Pontinen from BIS on passionato, coupled with Rubinstein, Glinka, Glazunov and Stravinsky probably offer the strongest of these. The recording is good: I haven't heard the CD, but I have no doubt that this lossless (flac) transfer offers a true reflection. iPod aficionados will be disappointed that there is no mp3 equivalent, but the music plays very well in Squeezebox. At £8 ($11), it offers good value: most websites, apart from Hyperion, offer mp3 at around this price, with lossless usually a couple of pounds more expensive. All in all, I rate this an encouraging start. The typo on the cover of Haydn's World on the Moon has been corrected and the run out left on Haydn Symphony No.95 has also been removed. The Ansermet La Boutique was taken from disc not tape. The Solti version to which I refer is scheduled for release in the Autumn. 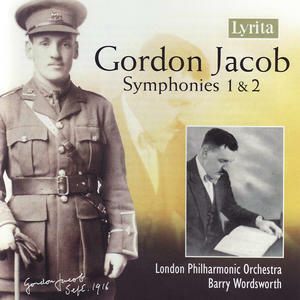 The Bournemouth SO in the alternative recording of Hérold's Zampa Overture is conducted by Dan Godfrey not Isidore.